After you’ve gone through removing and installing your actual Intake Manifolds (like I just did as part of fixing a Lumpy Idle situation) you are in the home stretch of getting your DB9 back on the road. 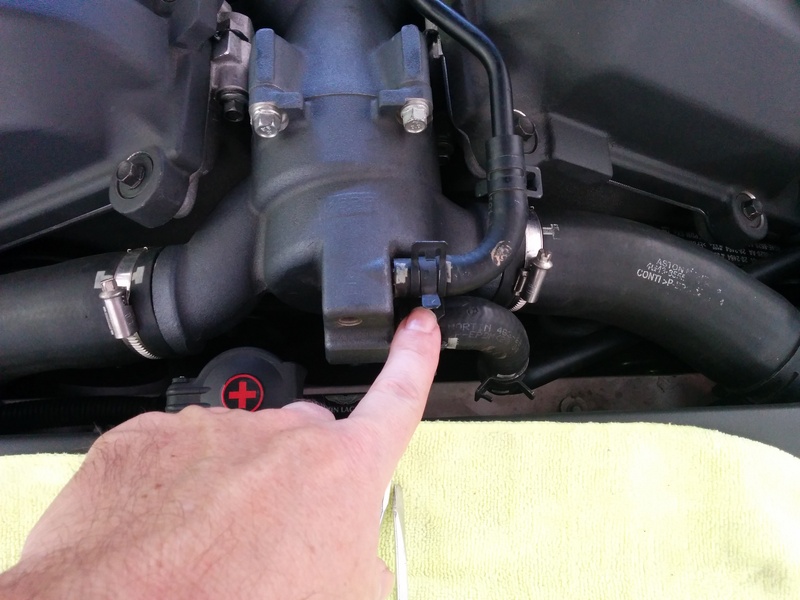 In this post I will cover reconnecting all the ancillary connections that link up to the Intake Manifolds, things we disconnected along the way and certainly can’t be forgotten. Some of the steps are just reversing the removal process, but a few have a some technique to them and I will share what I learned along the way with you here. I’ve done a lot of work already to get to this point, and you can check out my post and video on Preparing the Intake Manifolds for Removal on how it was disassembled. 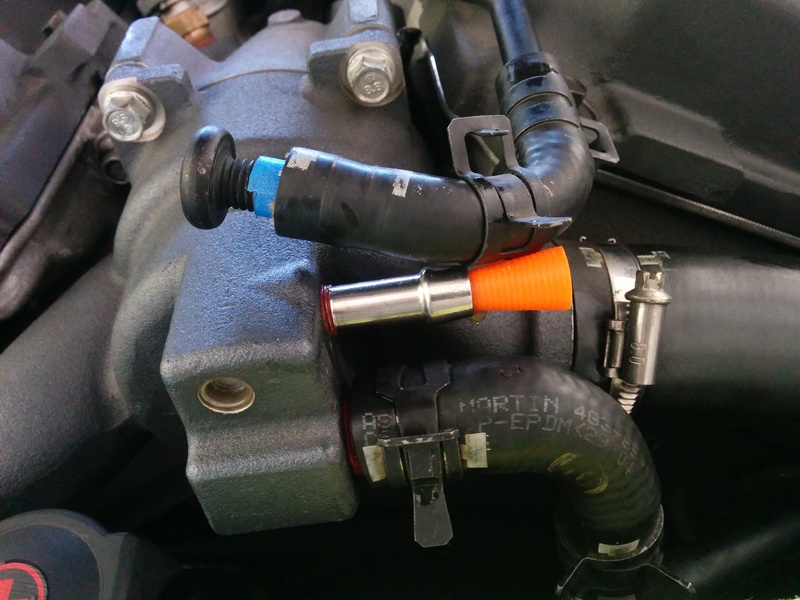 The Official Aston Martin Workshop Manual Section 03.01 discussing reinstalling the Intake Manifolds covers it in 2 steps and just 12 words “Connect the Thermostat Housing By-Pass Pipe” and “Install the Air Intake Hose”. I guess we don’t need to worry about all those other dangling connections?! At least they covered it in the manual talking about disconnecting them, but just forgot to cover them in this section about putting it back together. The entire process should only take about 10 minutes. 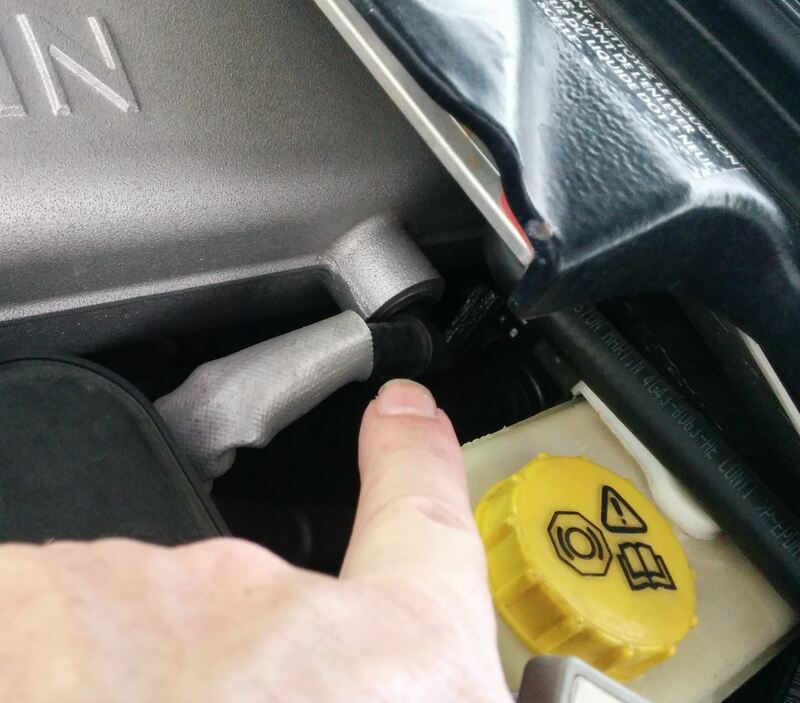 Place a rag under the connection so it can absorb any coolant that drips out of the connections when you remove the plugs. Remove the rag soiled with coolant, and use a clean rag to wipe up any that splashed onto any other parts of the engine. 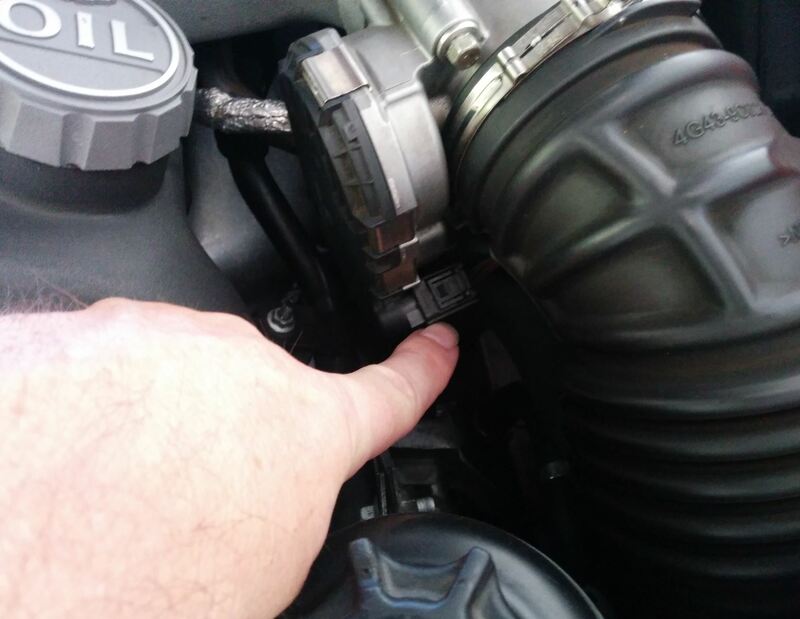 Place the bracket on the rigid portion of the hose line over the stud on the valve cover, and secure with the 8mm nut. Use your 8mm box end wrench and just tighten this up snug. 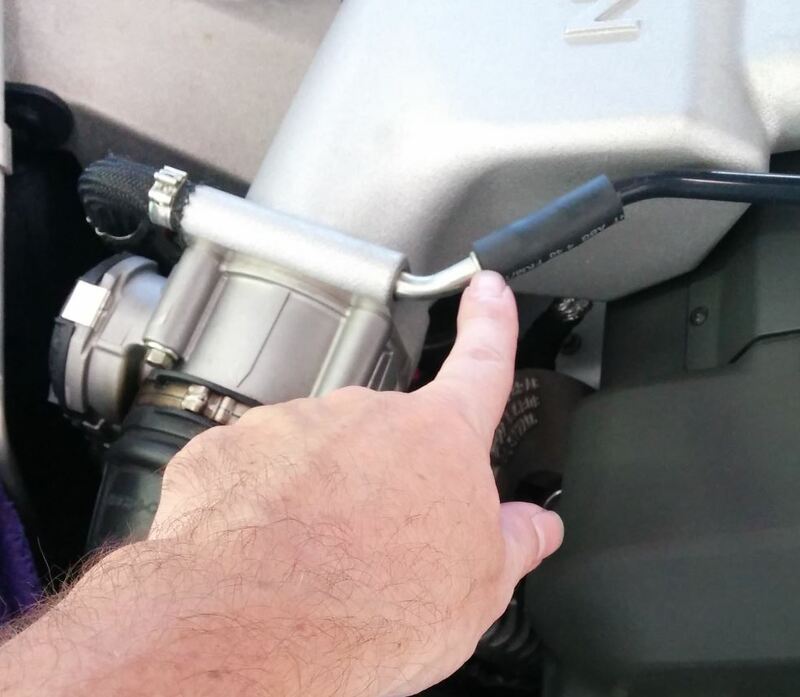 Connect the electrical connection to the Throttle Body. It just pushes on until you hear it ‘click’. 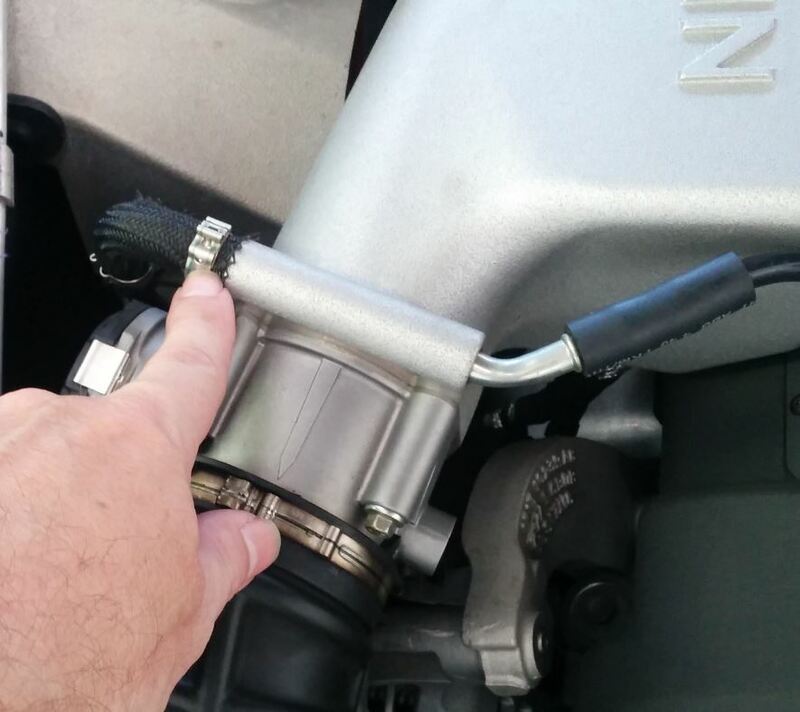 Connect the large air intake pipe over the Throttle Body inlet. It just pushes on with a moderate amount of effort. 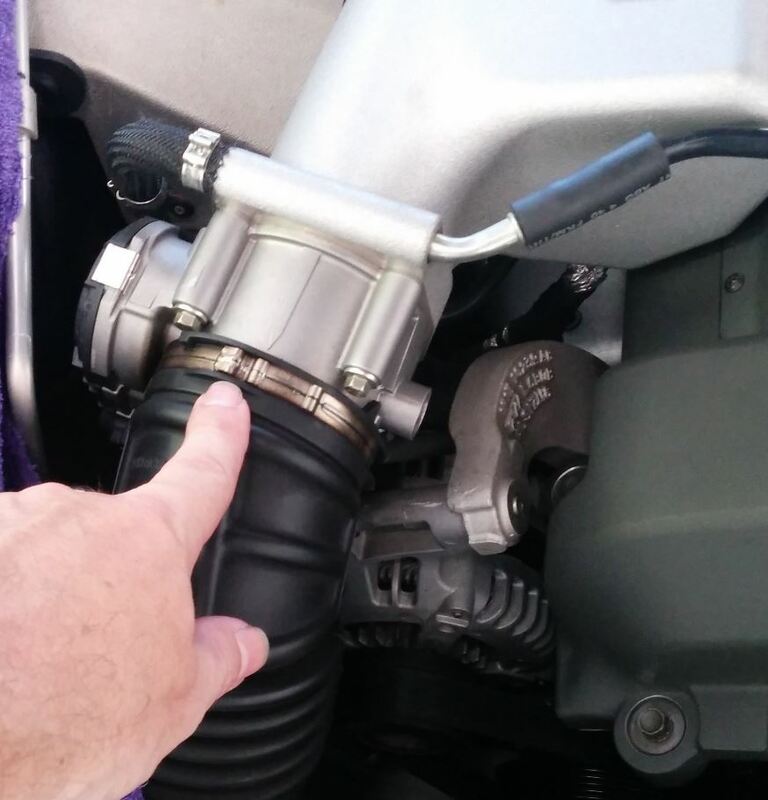 Connect the PCV breather line to the bottom of the air intake pipe. It just pushes on, no clamp. Just reach under and lift it into position. Tighten the clamp on the air intake pipe. Before you start, make sure the clamp is in its proper position – engaged with the small notch in the plastic pipe. There is a technique to this that is way easier to explain when you see it being done live, so I suggest you really check out the video below. Basically you will use the large screwdriver to give the clamp a sharp rap in the right spot (and direction) to snap it closed. Reconnect the three (3) PCV vacuum connections. Push on the connection from the other line, then use the same technique for snapping the small clamp closed using a screwdriver or perhaps a pair of pliers to squeeze it closed until it clicks. On the LH manifold there is just the single push on connection. 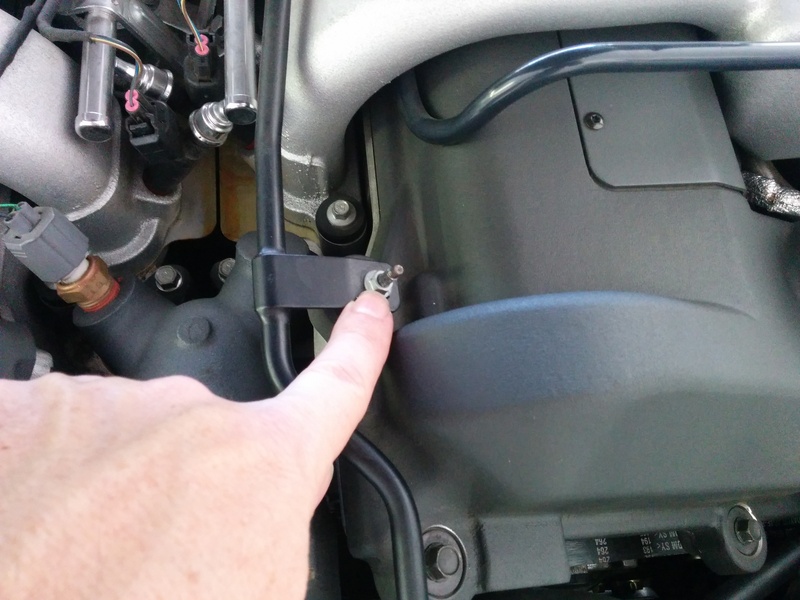 Reconnect the Brake Vacuum Booster line. This is a simple matter of pushing the special connection into the port on the manifold all the way. Give it a gentle tug back out to see that its firmly engaged and won’t just pull back out. Check that the plug is in the vacuum booster port on the opposite side manifold (just in case it was removed or came out during servicing of the manifolds). Just give it a quick push in and a tug to see if it will come back out. That’s it for this step, next up I will be reinstalling the Intake Manifold Center Brace. Here is a short video of the steps I followed. I have a problem with my 07 DB9. The drivers side (UK spec) window does not drop a few millimetres when the door is opened and therefore I risk damaging it when I close the door . Any sujestion on problem and remedy. Brilliant blog please keep it up.